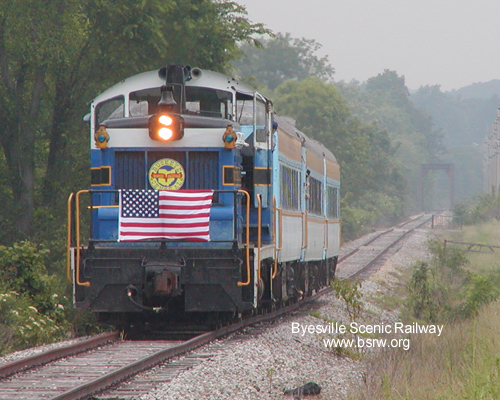 Former Pennsylvania RR engine on our former Pennsylvania RR line, June 2003. 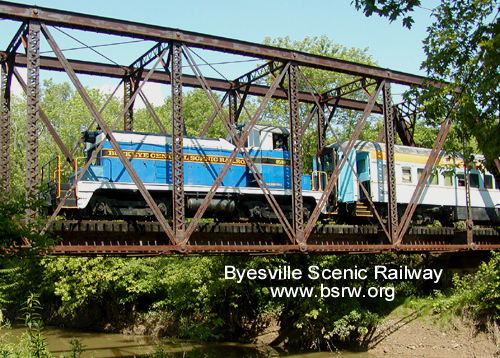 Crossing over Wills Creek on "Number 5" bridge, built in 1898. 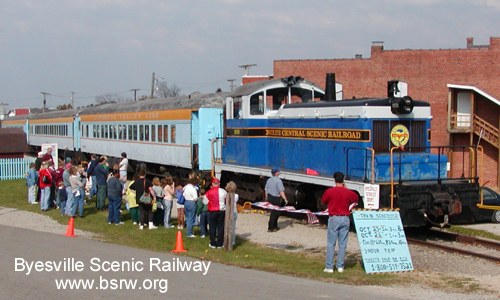 Passengers eagerly awaiting to board one of our fall foliage excursions in Oct. 2003. Santa Claus and crew during one of our Christmas excursions in December 2003. 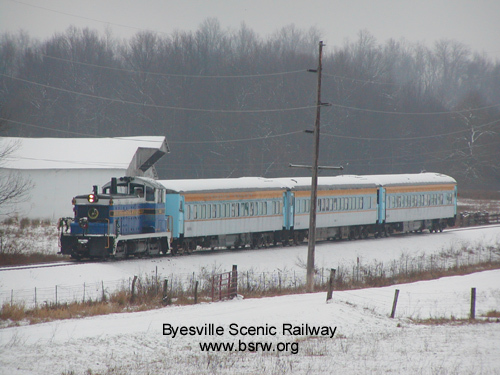 Former Pennsylvania RR engine #8599 passing through "Number 5" bridge, Dec. '03. Rolling along the snow covered countryside, December 2003. 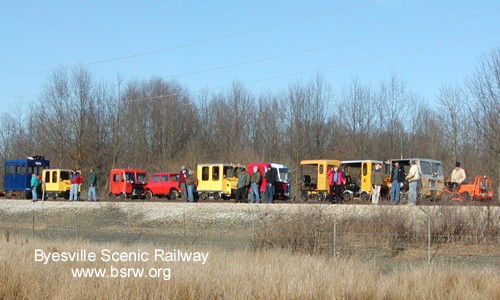 Ohio Valley Railcars motorcar excursion south of Number 5 bridge, March 2004. 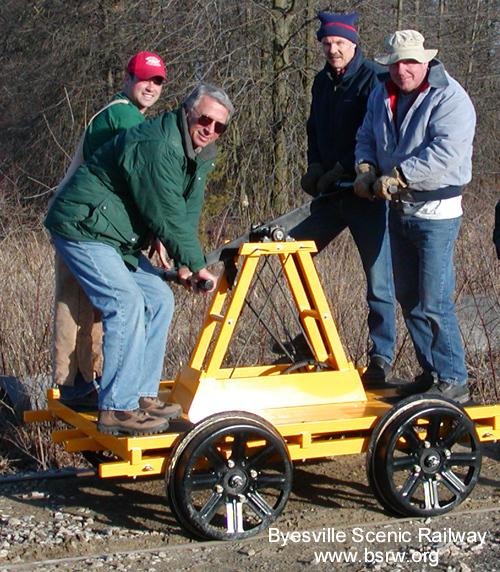 Ohio Valley Railcar members trying out an old style hand car for the first time. 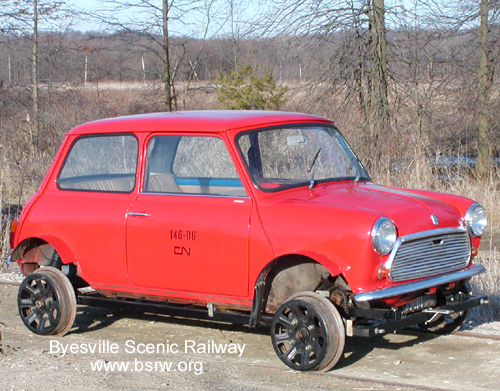 and were very common before motorcars came about in the 1930's. excursion and received much attention. away at the Colgate switch. 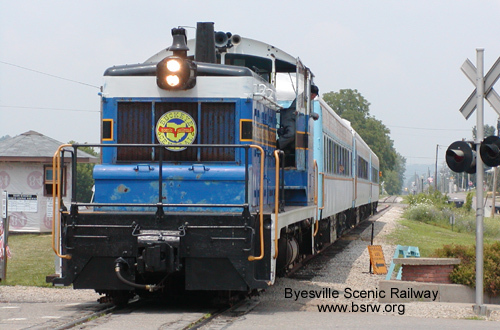 The Ohio Central Railroad now serves the area. Santa Claus and crew on a mild winter day, December 2004. 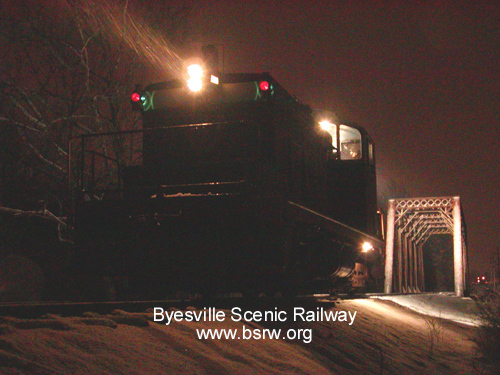 Old Pennsylvania Railroad SW-1 #8599 on a cold winter night in December 2003.